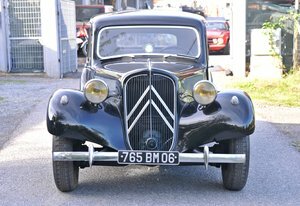 For many English people, Citroën represented a somewhat unconventional Continental make of car, but for the driver in the know, the double chevron stood for cars with handling which was exceptional, or at least rarely found among British cars of the 1940s and ‘50s. 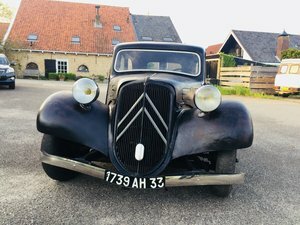 Citroën opened a subsidiary in West London in 1925 to assemble cars which, while they retained the same basic qualities, catered to the tastes of its British customers, offering more refinement than the models introduced on the Continent. 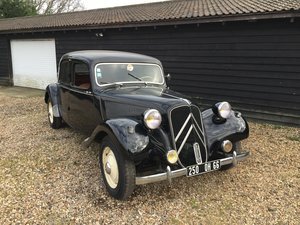 The Traction Avant models thus had leather interior trim and a wood veneer dashboard; the Customs regulations helped this change of personality by requiring all the parts sourced from subcontractors to be made in England. 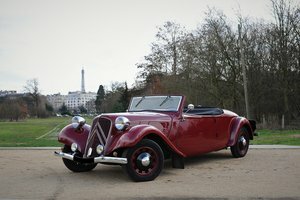 The 15 Six, respectfully known as the ‘Six-Cylinder’ across the Channel, was part of this process, but remained a rather exclusive car, as only 1300 were assembled. It had some success in the export markets of the Commonwealth, in Australia, New Zealand South Africa, but very few are left today. One of them, a survivor from the roads of Britain, enjoyed a quite extraordinary career, as it was used for a long time by MIRA (the Motor Industry Research Association), a division of the Ministry of Transport; registered MYP 575, it became one of the most famous Six-Cylinder models in England. 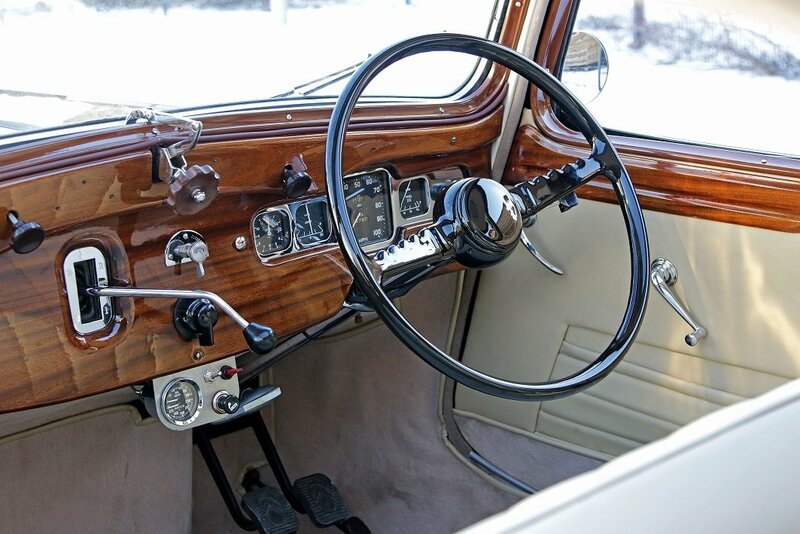 Purchased in 1952, it was used to measure the contact between the tyres and different road surfaces, especially in the wet. For these tests, the Road Research Laboratory carried out substantial changes to the car: these began by making a hole in the floor to mount a chain-driven fifth wheel and the installation of instruments and test equipment, which took up part of the rear compartment, leaving a small space for their operator. Rainy days are not infrequent in Britain, but if it was necessary to flood the road surface, the car had a water tank mounted on the roof linked to a system of pipes, which required making a hole in the roof. The data was captured by a hydraulic capsule in the centre of the wheel, linked to printers which were monitored by a technician. Registered MYP 575, the Six-Cylinder covered thousands of miles across the United Kingdom, more than 180,000 in fact until 1970. At that time, it claimed its pension rights and took its place among collectors. 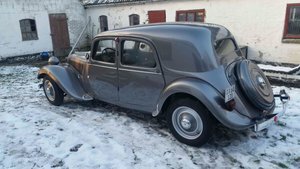 In 1982, it was restored to its original specification, the floor was welded up and the interior refitted; the changes to the roof were forgotten with the installation of a Webasto sunroof, and finally it was repainted. 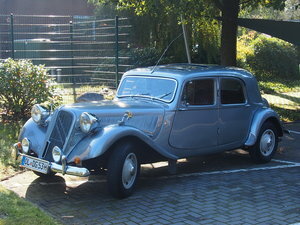 It joined the collection of the English Citroën enthusiast, Stephen S., who sold it to its current owner in XXXX. 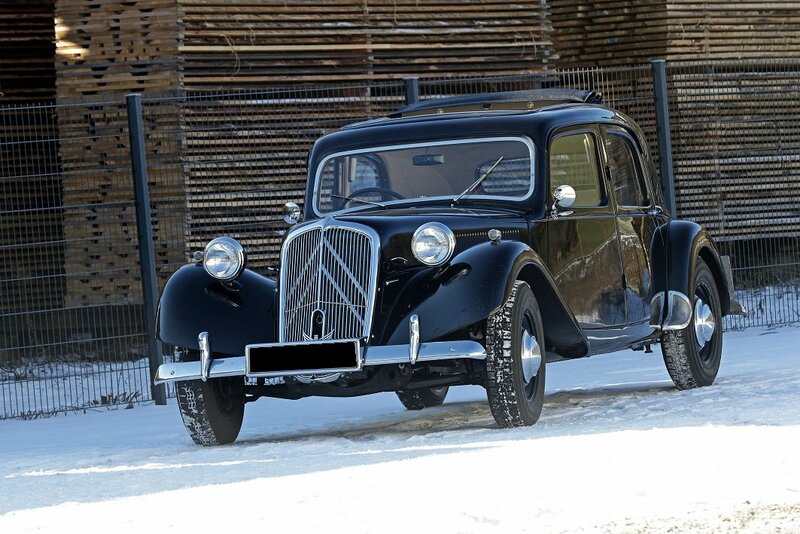 A new phase of extensive restoration then began, turning it into a virtually new car. 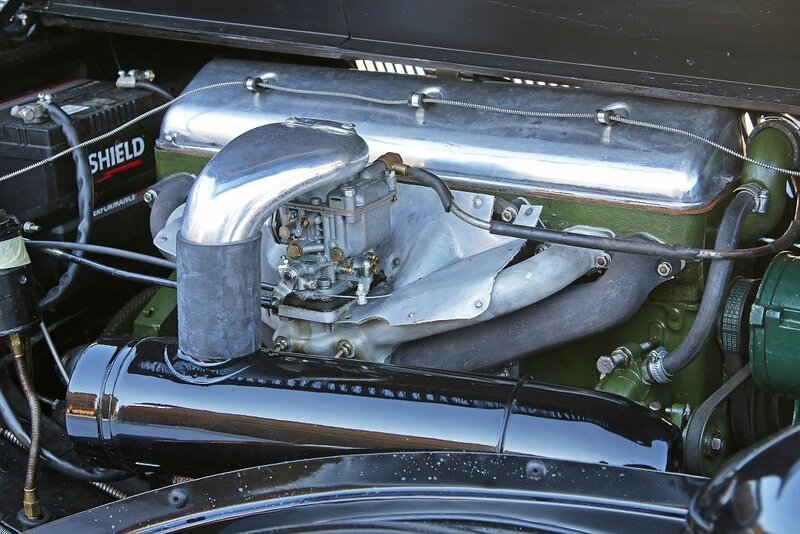 The bodywork was taken care of by Hubert Haberbusch, the engine by John Gillard, the gearbox by Aloïs Peter and the transmission by Roger Williams. 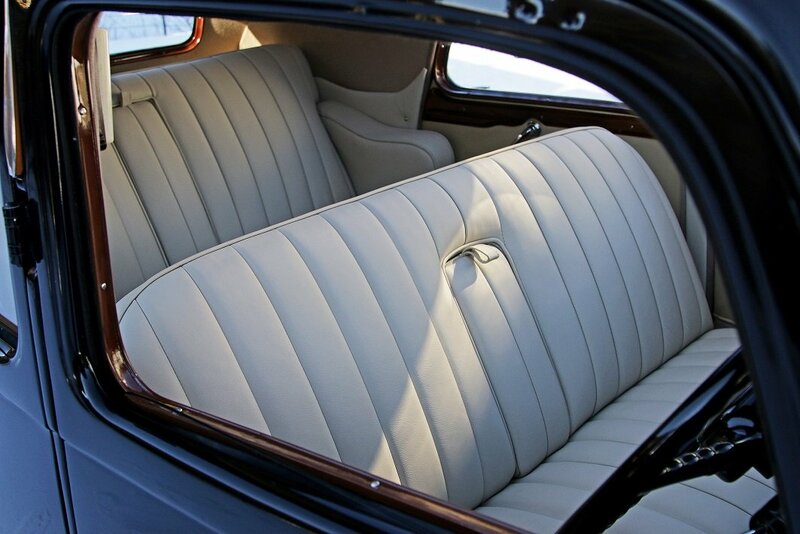 The interior trim was entrusted to Andover Upholstery in the UK and the leather bench seats to Marcel Reusser in Switzerland. 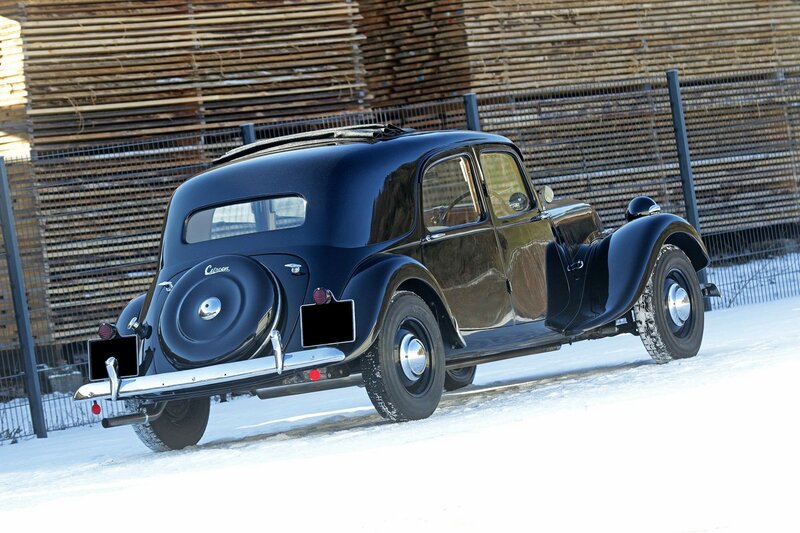 This car has an extraordinarily rich history, with numerous photos serving as a reminder of its career. It is now in exceptional condition and this is a unique opportunity to acquire this flagship which is well able to provide perfect service for many years to come.